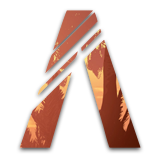 IslandLifeRP | EUP | Non-ESX | Non-ELS | Custom CAD | Serious Roleplay | Hiring All Departments | Active Management! WELCOME TO ISLAND LIFE ROLEPLAY! IslandLifeRP has been around since Late January 2018. We since changed our community name from East Coast Roleplay to IslandLifeRP in Late September 2018. We started IslandLifeRP to strive to be the best. We want our members to come here and be surrounded by people that have the same interest. We don’t want to be that community that you join and no one notices you. We want all of our members to be happy with where they are at and know that what they do for the community is being noticed. If you want a community that is about their members and listens to what their members want inside a community then come to join us and if you are unhappy then you are always welcome to leave on good terms. We will only say we told you so when you decide that you want to join back. 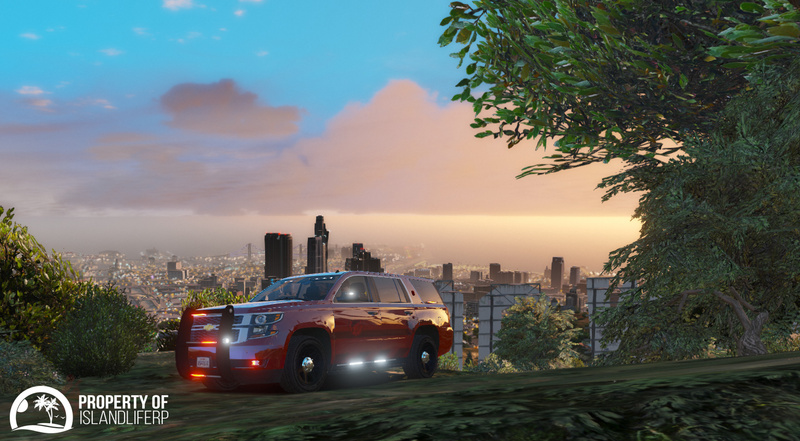 Want to be a part of one of our Law Enforcement Departments and make all of San Andreas is a safe place to live? Top of the line department with the top of the line vehicles to patrol around in. Best state patrol around. Want to stop those speeders, you wont have any problem. Want to fight fires and be there for the people and help and save their lives as a Firefighter or Paramedic? 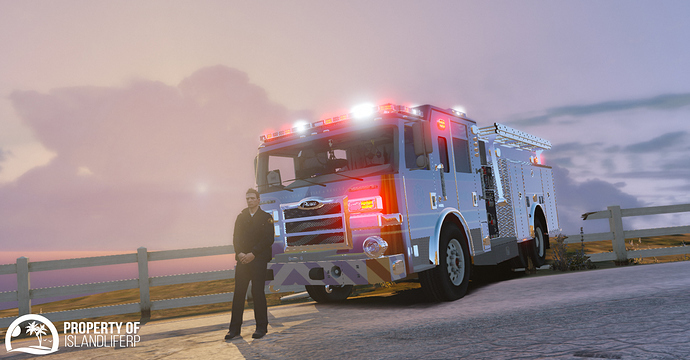 With their massive fleet of vehicles you will be able to stop any fire and help anyone that will need it. Want to protect the seas and assist the Sheriff’s Office or State Patrol on the escapees that try to go by sea? With the government’s money you can assure that you will be receiving the best equipment for the job. Want to just kick back and relax and not have to worry what the best of the world is doing and not have any duties? With tons of new vehicles that are always being added you will never not have a vehicle to use. Come on… you don’t like what you see? If you do, come apply and see what we are really about and how we can make your roleplay experience even better then before. Anyway thanks for checking out IslandLifeRP, we hope to have you here soon. Yes we have vehicles that are being made for our community that won’t be released anywhere else. EDIT: The vehicles that are in the picture are not the vehicles I’m referring to. You should really come up with your own Rules & Regulations document. Yes we are those, are not ours clearly. I have no idea who put those on our website. Unreleased cars? Wonder what that means unless you added the Arena War DLC which more than 70% of the vehicles crashes your client xd. Anyways, I’ve been part of this community. It was alright I guess, except I could never be on since everyone where from America, and they had a serversided menu which got me not interested. But anyways. to the community. Our State Patrol vehicles are the vehicles that are unreleased. Not all of them are finished (they are being personally made for our community) but we have the majority of the vehicles. Yes, we are a majority American community but we are making an attempt to grow further away from that. Also like you said we do use a serverside menu due to the fact that we had a bad modding problem when we had client scripts installed. 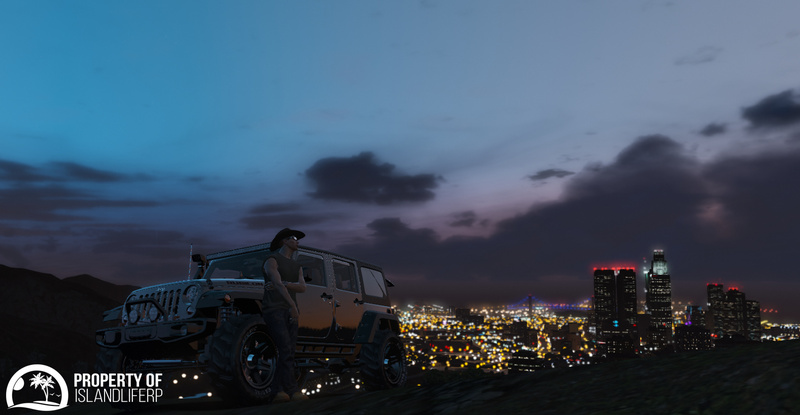 Once we went all serverside we haven’t had a single modder come to our server. Thanks for the comment though. It definitely helps!